a division of Milestone Technologies, Inc.
"Everything for the Morse Enthusiast!" 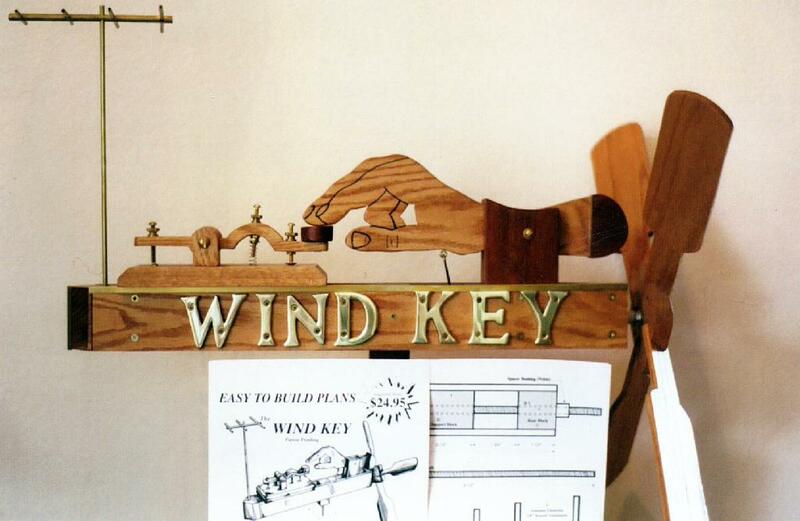 Craftsmen have been making wind-powered toys and whirligigs since the 18th Century. 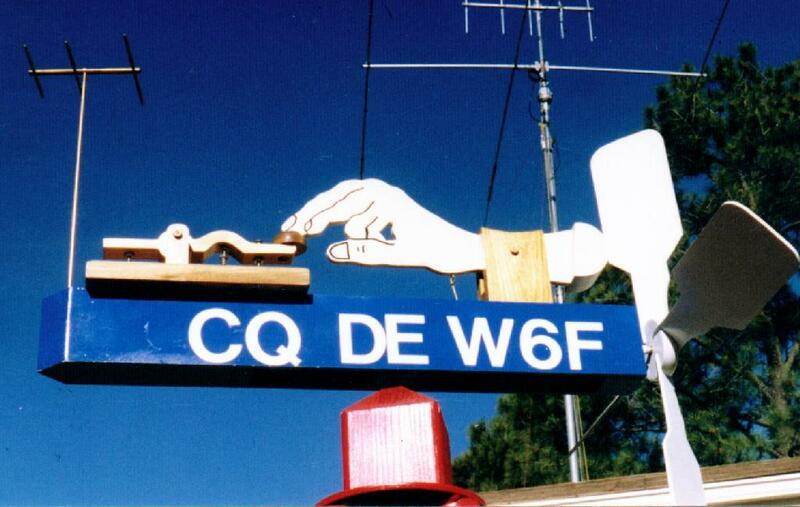 Bob Wertz NF7E's Wind Key whirligig will add a bit of whimsy to the ham back-yard or even (how appropriate) out front by the mailbox. The easy-to-build plans are complete and full-size-- just lay them out on your material to trace the parts. Only ordinary woodworking tools are required, and common hardware that is described fully in the plans. You choose the material, the color scheme, and any text lettering that you want-- your street number, or name, or callsign, etc. The example at left below shows a Bob's Wind Key made from oak and dark walnut, a real attention-getter. 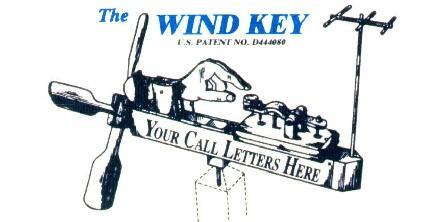 The completed Wind Key will "tap" once per revolution in winds up to 30 knots or more. The possibilities for modification and enhancement are virtually endless-- you could add an LED that blinks when the key is closed, or a different "antenna," or re-style the key to match what you use in the shack. Questions or Comments? Write to us!